This simple, fast, and really tasty recipe is perfect for when you’re lounging around the house and want some food, but don’t want to have to whip up a whole meal. Ezekiel bread makes this simple meal especially tasty, and if you can get them, try honeycrisp apples. If you have a panini press or countertop grill, preheat on medium heat. If not, coat a skillet in cooking spray and place over medium heat. 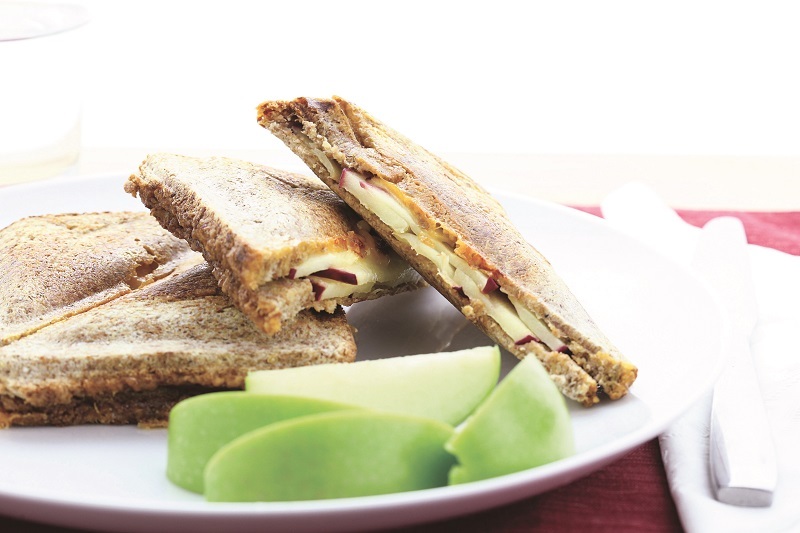 Spread 1 tablespoon of the honey mustard evenly over each slice of bread, then evenly divide the apple slices and cheese to make 4 sandwiches. Place on the skillet and top with a lid or something to press down on sandwich. Cook for 2 – 3 minutes and flip, apply a fresh coat of cooking spray when flipping.